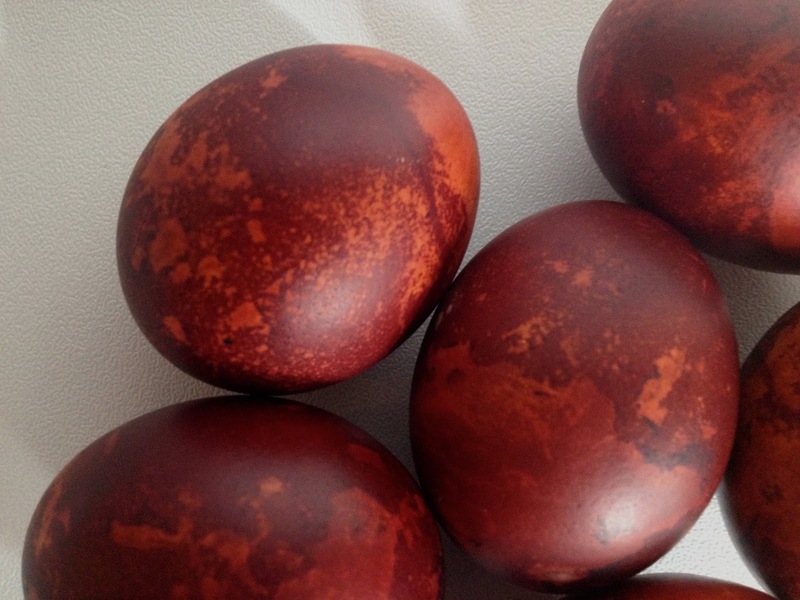 every easter, for as far back as I can remember, my grandma would dye eggs with onion skins. she would bring them over to my brother and i, still warm, with a little story about how the easter bunny had been by and left them for us. 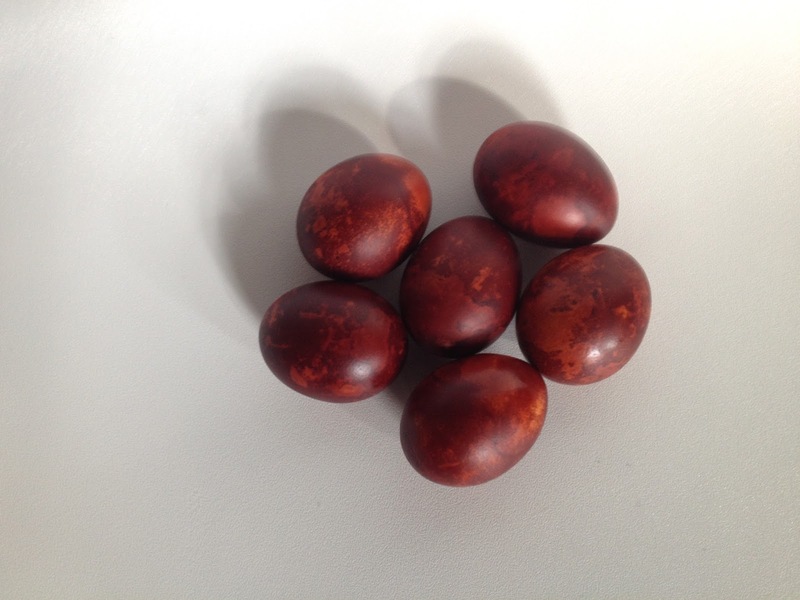 in addition to being an environmentally friendly alternative to the synthetic dye kits sold in stores, they also make for some unbelievably beautiful eggs - and a happy family tradition i am excited to carry on with finn. in a stainless steel pot, add water, onion skins and vinegar. bring mixture to a boil, then reduce to low heat. remove pot from heat and let cool on the (on the counter or outside) until liquid is close to room temperature. add the eggs to the pot and bring the liquid to an easy boil over medium heat. cover and simmer for 10- 20 minutes, checking the colour periodically by gently raising the eggs out of the pot with a slotted spoon. when cool enough to handle, massage a little bit of olive oil into the eggs, wiping off excess and polishing the eggs with paper towel. this will bring out some amazing deep, rich tones. 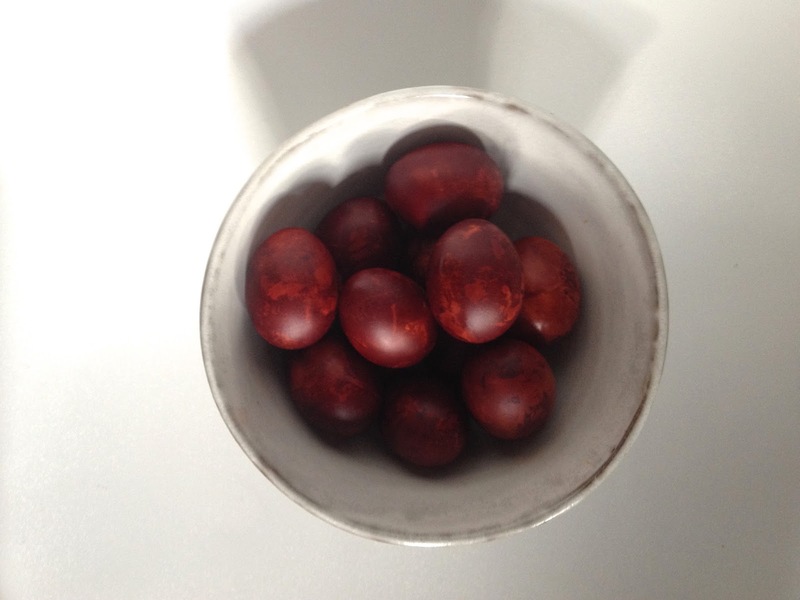 i used a combination of white and brown eggs, but as you can see, i don't notice much of a difference between the two. 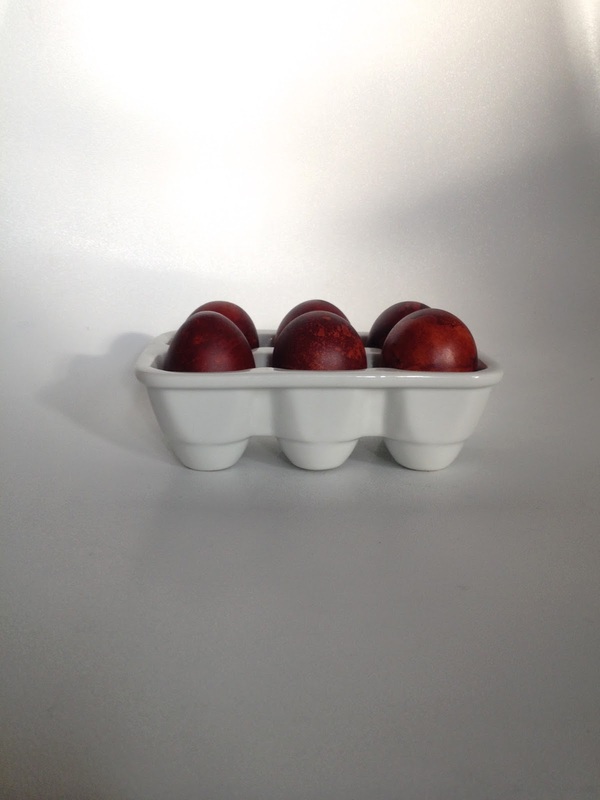 these eggs are safe to eat if kept refrigerated afterward. my incredible and talented friend carina has made yet another amazing downloadable scavenger hunt list for your kiddos- this time, highlighting some urban staples. this scavenger hunt is perfect if getting out of the city is not on the agenda for the day- keep this activity in your back pocket and enjoy happy children while you run errands around town. over the last year, finn and i have spent many afternoons exploring - searching for pine cones, homes for fairies, chirping birds, feathers... finn LOVES having a list he can carry around and check off as we go along, so i do my very best (which is really quite horrible) to draw pictures of things we can seek out. 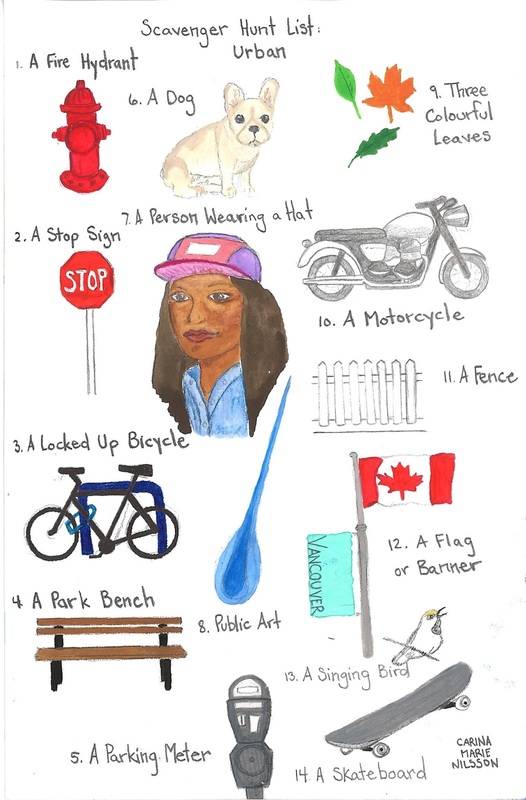 my sweet friend carina is an incredibly talented artist with an abundance of skills, so when i had the idea to to make and share a really nicely illustrated scavenger hunt list, i knew she was the one to talk to. we spent some time working out the details, and this weekend, she shared the first of several scavenger hunts- a forest theme perfect for little or big kids alike to get outside and explore with. in the past, finn and i have collected items in a bag to later bring home and craft with (think nature journaling, mobile making, natural weaving or pressing flowers and leaves to later make beautiful prints or cards with.) but we have also spent time letting finn photograph our findings - giving him an old phone or camera and allowing him free reign to work at his own pace and photograph items as we go along. whatever you decide, this is such a fun adventure and a really easy way to get kids excited about being outside! carina will be illustrating a few more scavenger hunt lists soon! 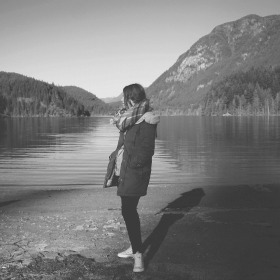 we have plans under way for an urban hunt and a beach hunt, so stay tuned. 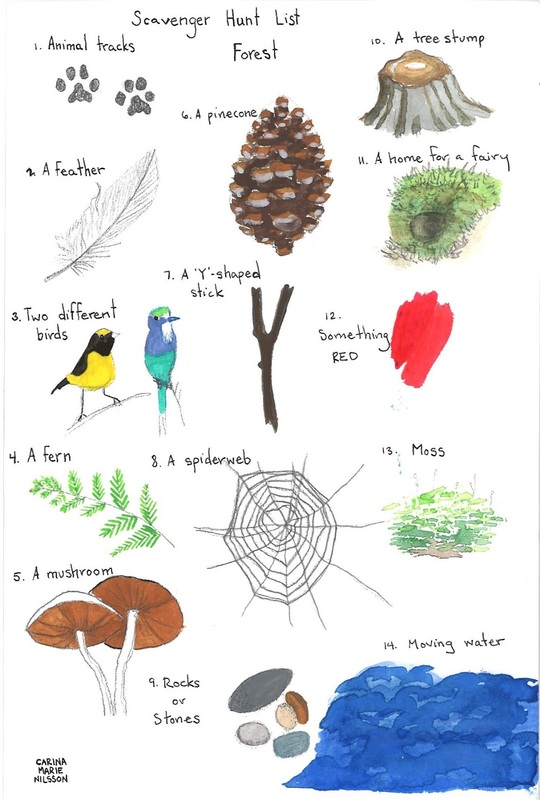 in the meantime, you can download carina's illustrated forest list from her website, peaks and harbours HERE, and check out more of carina's beautiful illustrations HERE.